Hand carved sculpture on Fix My Dishwasher Please or How Can We Lean the Appliance Repair Industry? The views expressed here are solely our own personal views and not those of our employers. The posts and contents of this blog are licensed under a Creative Commons Attribution-Noncommercial-Share Alike 3.0 United States License. [tweetmeme source=”leanisgood” service=”ow.ly” only_single=false]Dr. Demming used a great example of a marble and a funnel to teach us about process control and process improvement. His premise was a process operates i n its normal control and that you shouldn’t go around chasing every single point which is above some arbitrary goal. He taught us that when you try to constantly correct a process when it is operating in its control limits you actually increase the variation of the process. If you are one of those people who comes to work and first thing finds what when wrong last night and tries to correct it, Demming devised his simple experiment to show us a there is a better way to increase performance! With a general understanding of statistics and processes, Demming’s example has always made perfect sense to me. However I had never actually performed the experiment myself. I did this the other day and I can’t believe how much more powerful it was for me (actually my kids) to have done it. Here’s the experiment if you are not familiar with it. Drop a marble through a stationary funnel 30 times and mark where it lands based on the initial target. You will get a distribution of where the marble lands, similar to a distribution of how your process runs. 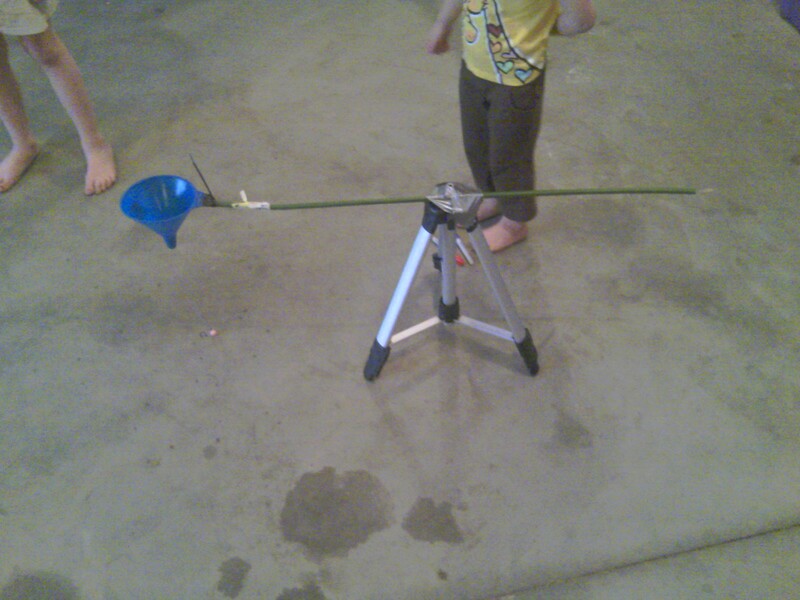 For the next experiment, try correcting the funnel based on where the marble ended up from the target. If it ended up a distance x from the target, move the funnel a distance -x from the target and drop the marble. This is like trying to always correct your process on every point. The distribution of where the 30 marbles drop is significantly larger than if you did nothing! Now adjust the funnel to wherever the marble ended up and drop it 30 times. I hope you have a big room because this system goes unstable quickly. This is like when you try to make each part the same as the part before it. 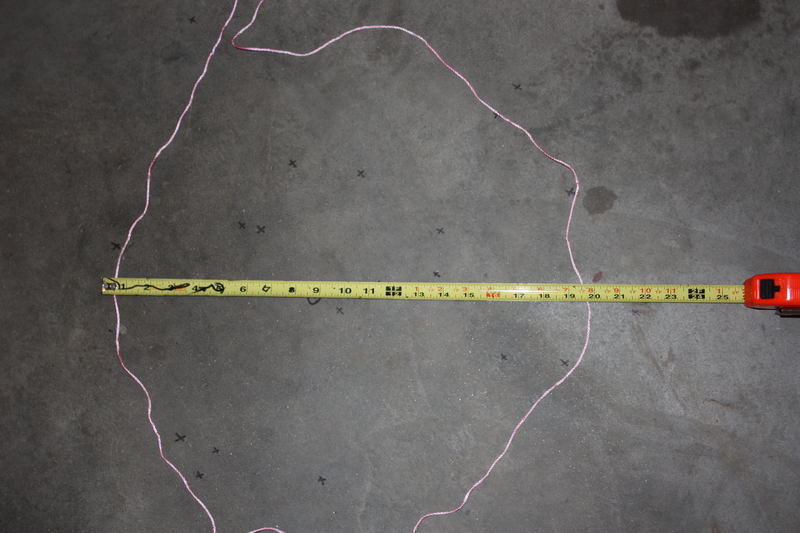 Here are my results: Funnel that wasn’t moved created a circle roughly 20 inched in diameter. The next trial I “corrected” the process by moving the funnel the exactly opposite from the previous marble ended up. 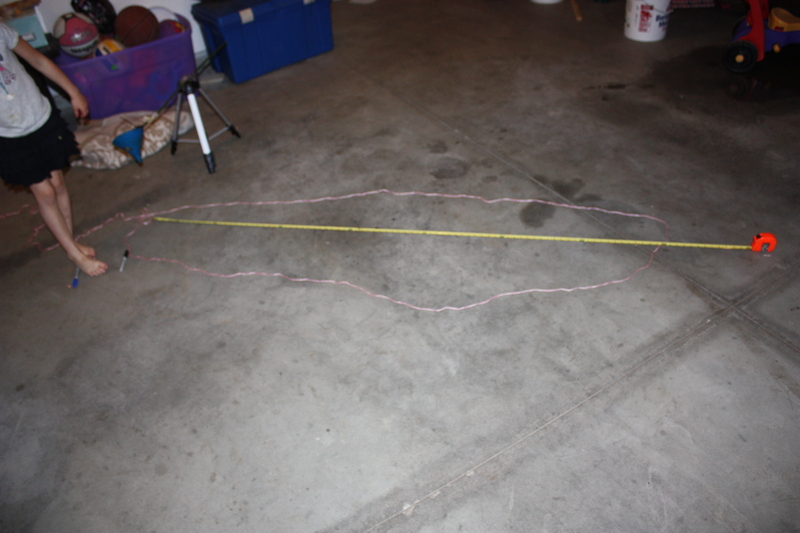 It made a salami shaped distribution that was 7 feet long! The third trial I just moved the funnel to where the marble ended up. It blew up quickly. I only made 6 marble drops and was out of room in the garage! It is very easy in today’s factories to fall into this resource drain. One can be constantly monitoring a metric and adjusting the process based on an arbitrary “goal.” However, all you are doing is spending your limited and valuable time to make the process worse. Demming’s advice was to understand where your process was running and don’t try to correct on every point that is off the target. Warning, you probably won’t like where your process is running in control but you must be honest with yourself. Only correct on points that are out of control. Use your free time from not chasing rabbits to actually improve the process for the long term. You’ll be surprise how quickly you can improve a process by focusing time on true process improvements as opposed to chasing natural process variation rabbits! Bryan, nice post. I had never heard of this experiment before. I really must try. I am used to the dice game for variability but this looks like another great case of process control. Great presentation. I need to do more stuff like that with the kids so they get it without attending the school of hard knocks that I graduated from. Outstanding! The more I learn, the more I realize that practicing on the kids is a great way to refine lean instruction and facilitation techniques. That’s a novel way to explain this concept. Timing could not have been better for this post!